There is one common aspect that stands out among those travel companies that have embarked on the path to digitalization. It is about the way they structure their talent pool in order to bring agile principles into their respective businesses. · Kiwi.com chose to offer a new functionality in NOMAD that would return the cheapest itinerary possible between cities on the dates that a passenger intends to leave and return. The algorithm finds and organizes flights for the user. So what over the years has proven to be a time-consuming and complex exercise for a user (since it can take multiples sessions to find the cheapest flight for different connections), now has been simplified. Kiwi.com asserts that there product does all the work and visitors to their site can reap rewards of the results shown by algorithm created by their team. · SilverRail recently came up with an outstanding breakthrough to simplify the rail journey for travellers before they even leave their place. 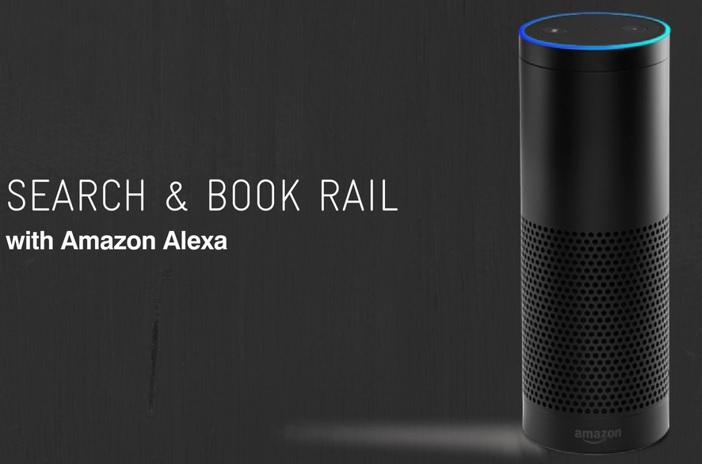 The company played its part in enabling Virgin Trains to become the first travel operator to sell tickets through Amazon Alexa. So travellers can use their voice, via Alexa-enabled Amazon devices, and Amazon Pay for this voice-based transaction. According to Dlouhy, incrementalism is harmful when confused with “doing only one-offs” or shipping half-baked products. Agility is considered to be a mindset. Companies like Kiwi.com looking for honesty, transparency, openness, ability to quickly adapt to a constantly changing environment, passion for travel, efficiency, willingness to fail fast and improve in their employees. · Gear up for swift learning through shorter cycles and constant delivery pipelines. In a blog post, SilverRail recommended that companies need to encourage teams to spot impediments and allow for time and aid to get them sorted. Plus, one should focus on capitalizing on the aggregation of marginal gains to garner exponential returns with minimal investment. · Another recommendation from SilverRail: Set up means for clarity so that teams are optimizing for the throughput of the system and not any specific or single part. Cut down on short term initiatives that affect long term velocity and manage technical debt that has the possibility of expanding. Assess and quantity every aspect and set up a core set of key performance indicators that drive to the largest gains in velocity. How can airlines and travel companies embrace innovation? Hear from experts at the upcoming Mega Event Asia-Pacific (Ancillary, Loyalty and Co-Brand Conferences) to be held in Bangkok, Thailand (28-30 August, 2018). Ai Video: Is technology inhibiting the UX of airlines’ digital assets? Majority of airlines are not agile enough and most are not willing to fail fast, thus they will always be behind until they change their internal processes to stay ahead of their customers, writes Ai's Ritesh Gupta. What does being agile signify from the perspective of being user-centric? At its core, UX is about creating ease of use. So being agile, being equipped to create compelling, relevant experiences across all touchpoints, devices etc. is must. Mike Slone, Chief Experience Officer, Travelaer says airlines need to act fast and ensure technology doesn’t prove to be a roadblock in their quest of being user centric. Also, UX isn’t equal to user interface (UI). There is a need to understand passengers’ journey, from the beginning of the trip idea. “The issue is that technology products across the customer journey are in different departments and there is no one person who owns the journey and not one (entity) who owns the technology behind it. For airlines to be successful, they need teams that think across the silos, go beyond them (silos) and integrate them. Often that means a digital transformation of sorts,” said Slone. Hear from senior industry executives about the significance of UX and being agile at the upcoming #MegaAPAC - Mega Event Asia-Pacific (Ancillary, Loyalty and Co-Brand Conferences) to be held in Bangkok, Thailand (28-30 August, 2018). Ai Editorial: Selling via a digital retail platform - how Ryanair is setting a new benchmark in travel? The connotation of selling has evolved considerably. Why would one airline agree upon selling another airline’s flight when for years the two entities have considered each other to be a competitor? If a traveller is fond of reading a book, can an airline include this is an offer for an itinerary which features a seven-hour halt starting from mid-night? Selling today is about understanding one’s context, being aware of one’s preferences, and in case of leisure travel, it definitely has to offer a memorable experience. How can airlines get closer to selling this way? To make it work, there are several areas that need to click. The industry on the whole has to evolve – not only airlines, but also the offerings of travel technology companies and even the industry processes – so that an airline operates as agile, data-driven and digital organization. Outside of the travel industry, there are dynamics in the arena of today’s digital platform economy that demand attention from selling perspective. Selling as a single-sided market player is what airlines need to do away with. Rather there is a need to comprehend how digital economy works and this brings to the fore the significance of gearing up for a platform economy model. “The traditional businesses (like airlines) are today disrupted by new players which are acting as digital platforms – two -sided marketplace. The nature of the business is so significantly different, that traditional players cannot compete directly in their current setup as single-sided market players,” said Marko Javornik, VP/ GM Mobility and Travel, Comtrade Digital Services. He added that these new players have taken a significant value away from the traditional players in all traditional industries. The reason for this is that the digital platforms are commoditizing as well as bypassing the traditional players. “Some airlines have finally understood that they can take the same tool and get their own share of the digital platform economy. Some will decide to go bold like Ryanair decided to go – trying to create a top level B2C platform and create an ecosystem of retailers around it. Some will go different route. There are different ways how airlines can create or join an open travel ecosystem. However, if airlines do not have a digital platform strategy on their own (even if it is a B2B only), then other players are taking away the advantages and slowly reducing the value that comes to the airline,” said Javornik. “The essential idea is that airline uses it’s unique physical touchpoints, existing digital touchpoints and its brand to build a digital platform strategy. This will probably not be a direct competition to the winning platforms of today, but rather facilitating secondary marketplaces that will balance out the strong powers of the current winners,” he said. What airlines can learn from Amazon is how to leverage economies of scale and scope i. e. to expand the basket of retail offerings plus letting other sellers use the same digital retail platform. So why an airline would sell another travel company’s offering? Of course, for revenue generation, but also to bring into action a data-driven learning loop. “This way you know that customers like what you are offering them and you know that in the future, they will like it even more because you learn with each data point. It is a different thinking than it was used in building traditional IT systems,” said Javornik. The journey of Ryanair, which started few years ago, is an example of how the airline is going strong with their digital platform economy through their “Amazon for Travel” program based on the MyRyanair platform. “Ryanair was one of the first airlines that understood the power of digital technology to disrupt the existing business model. For airlines, the fundamental component of this is single view of customer, which is basically what MyRyanair is. This is modelled in a way that provides immediate benefit to end users, which is why the users like it and use it,” said Javornik, who added that the platform has over 43 million members and is proving to be an excellent foundation for Ryanair to start focusing on its digital assets. “The platform provides an improvement to the user experience of the existing core services that Ryanair provides. However, the future potential of this platform is enormous and the value will grow with time,” he said. “Ryanair understands that digital assets will count a lot in the future, maybe more than physical assets. Having a large number of active users is definitely one key metric. Lifetime value of users is another one. While at the beginning both numbers will look small compared to the winners of digital platform economy that really is misleading. Here we are talking about an additional business that brings new revenues and profits to the core business which is put under pressure. And the core business can uplift the digital platform with a pace that simply does not work for digital only players. You just cannot compare oranges and apples. In fact, you should look for the differences and then take advantage of them,” explained Javornik. Traditional ways of selling are being challenged and displaced by ecosystem models in which organizations compete and collaborate across multiple fronts. Hear from senior industry executives about the significance of running a digital platform at the upcoming #MegaAPAC - Mega Event Asia-Pacific (Ancillary, Loyalty and Co-Brand Conferences) to be held in Bangkok, Thailand (28-30 August, 2018). 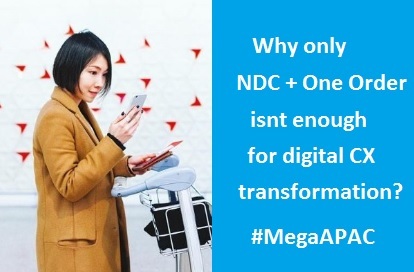 Ai Editorial: Why only NDC + One Order isn't enough for digital CX transformation? Being ready to serve a passenger as per their intent is what today’s organizations are after. Comparison between airlines’ offering and any product from a retailer, say a book or clothes, is unfair. Clearly, planning, buying and the consumption of a travel product is a prolonged journey. Even the day of travel when a traveller goes to the airport, the time it takes to board the flight, in-flight experience etc. is unique. Plus, a traveller has multiple avenues to get in touch with an airline. And the fact that airlines, especially full service carriers, have been using legacy IT set up and airline-specific systems and associated processes for decades, coming to grips with digitalization isn’t a straightforward task. The stage has reached where the whole business model of running only logistics operations as an airline is also being questioned. Digitalization starts a radical change in organization culture. Eventually people and processes are put in place to embrace rapid learning cycles, empowering autonomous teams to innovate and validate at speed – be it for the product offered or the way customers are served in an omni-channel environment. So how are airlines getting ready to embrace digitalization? A key component of how transformation results in customer-centricity is the combination of IT set up and data collection, processing and eventually offering insight via relevant dashboards for various disciplines (such as marketing, customer service etc.) to use for decision-making. As for going deeper into identifying and delivering a personalized offer/ service at every touchpoint, say at the airport, Eite mentioned that even if data dexterity is attained by being a digital organization, it doesn’t mean that systems managing key operational facets like departure control systems are going to change overnight. “These systems – reservation, DCS – the way they are handled is still sort of cumbersome.” Overall, the way flying tends to happen and the way airlines manage the journey – from check-in to boarding gates to in-flight, they have certain processes, the systems reflect that. “How IT can streamline all of this (processes that handle a passenger at the airport), supports all the data that is available and then how IT additionally paves way for treating a customer in a non-commoditized way would key going forward,” he said. In order to be in control of the offer and serving the way passenger intend to be served, airlines not only have to transform themselves, but they also need support from technology providers as well as the industry processes such as One Order that are being planned. Airlines are assessing opportunities about how to optimize their inventory and work out data-driven offers. In addition to air and non-air ancillaries, retailing platforms and B2B connectivity have positioned airlines to target the second wallet. The possibility of moving merchandising, pricing, scheduling and availability out of the PSS in order to create an offer that is under the control of the airline. Eite mentioned that there are other issues that aren’t only necessarily about operations vs. commerce aspects of a PSS. He shared that revenue management systems are not well equipped to cater to increasing number of ancillary options that airlines offer today. These systems fall short of delivering real-time dynamic pricing options without disrupting the booking flow. And the flow is an integral part of ancillary sales success. In terms of progress, the industry is counting on predictive analytics for ancillary pricing by taking into account traveller type, price point, timing etc. It is interesting to assess how the entire industry is enabling airlines to dynamically create and price bundles of itineraries and ancillary services at a transactional level. “Also, a lot of airlines have been going ahead with a “me too” approach with their ancillary selling. Each carrier needs to assess impact of ancillaries on profitability plus how systems such as revenue accounting get impacted, how the interline world works with ancillaries and unbundling,” said Eite. Another area that highlights complexity is in the nature of contracts plus the lack of appetite for risk (to go ahead with relatively young technology companies) in this industry. One reason that airlines don’t come across as agile retailers is owing to the fact they are averse to going beyond one tech provider. For instance, airlines need to partner those Internet Booking Engine (IBE) companies which are investing in API’s that allow airlines or partnering software developers to build their own user interfaces or applications on top of their outdated IBE’s. “Also, when you consider NDC and the concept of One Order, one of the complexities is to work around the interline world especially when the emphasis on direct selling,” said Eite. One Order removes the current booking, ticketing and miscellaneous document records and combines the content of those into a single retail and customer focused order, according to IATA. But switching over to One Order will affect operations, including reservations, ticketing, customer servicing and revenue accounting areas. “In addition to interlining it is important to assess how One Order would streamline the concept of Super PNR (a record consisting of all the different bookings) and tie the whole travel experience around it,” said Eite. IATA has worked out three solution architecture for One Order environments and envisioned transition paths to move from the current PSS record-based environment. So the challenges would include switching from the current data model built around PNRs, ETKTs and EMDs to the new data model built around orders plus dealing with interline between airlines using current and new processes. “In case of no changes there are hardly any issues, but if changes have to made into a trip itinerary (which contains bookings related to hotels, car rental, excursions etc.) owing to weather, technical issues at the airline level or even when the traveller changes plan, then One Order will streamline the process, but it would take time to happen,” said Eite. Airlines need to find ways to support fragmented distribution. As much as they can find brand agnostic travellers and high yielding travellers from indirect channels (via search engines or GDS companies), there is also need to ensure they refine their API connectivity. So be it for conversational commerce or the emerging blockchain technology, enabling technology for them to pursue would be APIs. Evaluate the option of offering UI level API rather than extending XML or JSON level API. Airlines need to sharpen their respective XML data processing capabilities. As airlines sharpen their ability to store and analyze large volumes of disparate data, how are they looking at understanding the search pattern even from their indirect channels especially in the wake of IATA’s NDC standard that has been around for nearly six years now? So for airlines to attain customer-centricity, it is imperative to not only transform themselves by breaking organizational silos, embracing customer experience management platforms and adaptive IT architecture. But equally important is how the entire industry evolves and complements proactive airlines in their quest to serve the passengers in the best possible manner. Chris Eite, SITA’s VP Passenger Services is scheduled to speak at the upcoming Mega Event Asia-Pacific (Ancillary, Loyalty and Co-Brand Conferences) to be held in Bangkok, Thailand (28-30 August, 2018). 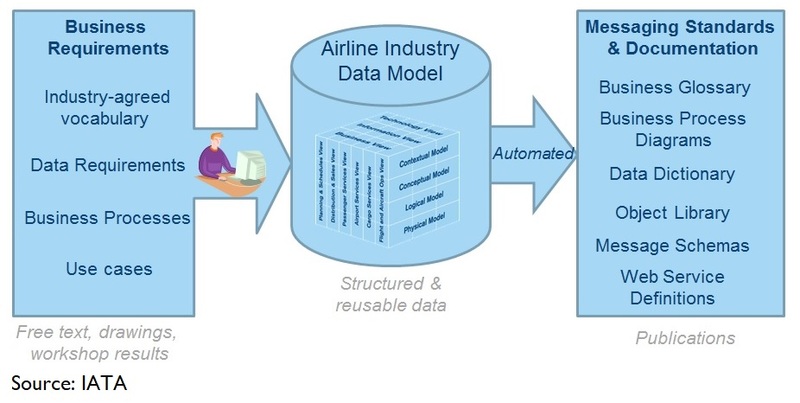 Ai Editorial: XML data processing – how airlines can get it right? Ai Editorial: Airlines are investing in infrastructure to make data usable in real-time and at scale for search and analytics use cases. But there are significant challenges in processing and surfacing XML data which needs to be in place to pave the way for actionable business intelligence. Ai’s Ritesh Gupta spoke to Triometric’s Jonathan Boffey about the same. Digital organizations count on data as a core asset in their quest to serve their passengers in an earnest manner in today’s connected era. It is imperative to not only act on 1st party data, but also ones emanating from non-company owned sources, including 3rd party distribution partners, to deliver a consistent offering. Airlines, as an industry, too have been gearing up for the same. For airlines, the journey of being in control of their own data and making the most of it hasn’t only been about breaking organizational silos, embracing customer experience management platforms and adaptive IT architecture. Carriers have also acknowledged the need to modernize airline-specific systems and legacy processes. One tangible result that needs to come out from such massive transformation is the understanding of travellers’ buying preferences, what is being searched for, the most popular destinations etc. The available intelligence has to pave the way for improved airline network planning and revenue management, airport route development and travel-related marketing. A testament of any successful digital or technology transformation is the intelligent information that comes from transformed data. As airlines sharpen their ability to store and analyze large volumes of disparate data, how are they looking at understanding the search pattern even from their indirect channels especially in the wake of IATA’s NDC standard that has been around for nearly six years now? It is vital to assess how airlines are counting on various data sources and focusing on real-time processing. “Airlines need to sharpen their respective XML data processing capabilities,” asserts Jonathan Boffey, Triometric‘s SVP for Business Development. According to Boffey, the capability should allow multiple data sources such as Kafka log queues or packet level network traffic from an NDC system to be captured and processed for key IT and business data content that can then be fed into corporate BI environment such as QlikView or Open Source big data technologies such as ELK. As for how Triometric is playing their part in preparing airlines for the same, the company promises to deliver via their new offering, Trio Data Engine. The Trio Engine initiative brings together a number of key technologies that will greatly improve the chances of airlines trying to deliver actionable information from data projects based around technologies such as Kibana/ELK, Kafka. Pentaho and QlikView amongst others. Airlines need to collect and process the recent search data across all their channels. They also need to have appropriate skills to analyse this data by market segment, formulate offers, set pricing and then adjust booking engine rules to deliver this at point of search. “This has to be a continuously improving process of set the rules, analyse the outcome and adjust. In a NDC world this becomes dynamic,” says Boffey. Boffey also highlighted that by counting on search data, an airline can differentiate their offering for several reasons. “Firstly for ‘right price’ reasons, everyone is using recent booking history in their RM system to predict the probability of getting another booking. That has nothing to do with how many people are actively searching and potentially not booking. Secondly for ‘right product’ reasons, you need to understand who is searching or travelling, what their travel intent is, where they are in their planning/booking process and what might be of interest to them. Most if not all of this information can be gleaned from analysing search data,” said Boffey. Overall, counting on search data, airlines can diligently become a part of a digital economy. By being aware of the intent and what is of interest to passengers, digital teams can embrace rapid learning cycles and work on tailored offering for different channels. On how airlines are looking for a deeper insight from the indirect channel, Boffey underlined that is there is low search data availability for GDS-based distribution channels but with the NDC channel share growing that will change and this is the opportunity. ELK is acronym for three open source projects: Elasticsearch, Logstash, and Kibana. Kibana is an open-source data visualization and exploration tool used for log and time series analytics, operational intelligence use cases etc. It is known for features such as histograms, line graphs, pie charts, heat maps etc. Elasticsearch is an open-source, RESTful, distributed search and analytics engine and Logstash is an open source, server-side data processing pipeline that ingests data from log file sources. 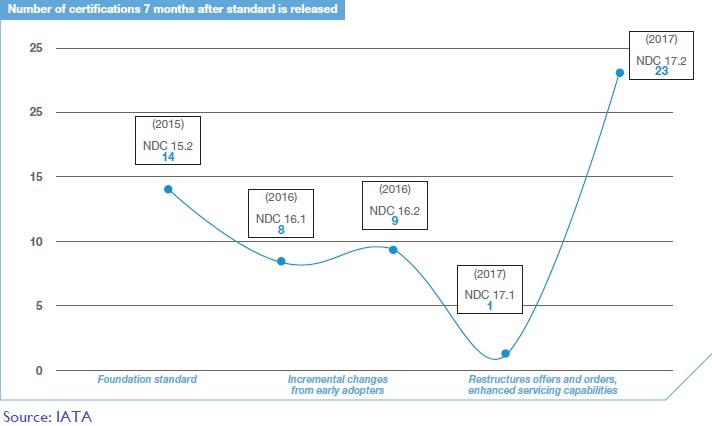 As for specific initiatives, Boffey mentioned that whilst some airlines still view NDC analytics as next year’s project, the advanced airlines are starting to deploying open source solutions such as Kibana-based reporting but struggling to get meaningful results. “Kibana is an attractive reporting interface but the “garbage in” challenge still applies when it comes to what it has available to report,” he said. According to Triometric, real-time Trio Engine can be used to solve the XML processing problem and feed an ELK stack so Kibana delivers on NDC. “Open Source technologies such as ELK have apparently low entry costs but the devil is very much in the detail. Toe-in-the-water style approaches to ELK or other open source technology based projects that lack proper planning are not an appropriate approach to solving this serious data crunching challenge. Big Data requires heavy lifting. A clear plan and sizable investment is required - Airlines need to budget properly for it,” said Boffey. Boffey summarized and mentioned that today the main focus is still on collecting the right data and getting it processed into a usable form for largely manual decision making process. “Make the decision and take an action – that’s where the ROI is. There is a lot of interest in AI technologies. AI is the automation of processes that in this area will include analytics and related decision making. AI means more data can be processed and more real-time tuning of systems and that translates into dynamic offer optimisation and revenue. It all hinges on having the correct data approach. Whilst there is an element of ‘walk before run’, the opportunity for the advancing airline is pretty clear,” concluded Boffey. How airlines are going about their data strategy? Hear from senior industry executives at the upcoming Mega Event Asia-Pacific (Ancillary, Loyalty and Co-Brand Conferences) to be held in Bangkok, Thailand (28-30 August, 2018). API connectivity in the arena of travel e-commerce isn’t new but airlines still need to dig deeper while working on technical considerations and designing of APIs. This is a significant issue considering the fact that airlines, like other travel suppliers, have been widening their distribution reach over the years, letting B2B partners access their inventory and sales systems via APIs to step up the average order value or target the “second wallet”. If a passenger is on an airline site or app, and there is an opportunity to cross-sell a product by showing images/ videos of the ancillary offering and make the shopping frictionless, then it would end up benefiting all the stakeholders – the passenger, the airline as well as the B2B partner. If a B2B partner has an API to offer to airlines, there are a couple of possibilities. For one B2B partner, API could be an XML level interface that can be handed over to airlines for implementation from this partner’s systems to the user interface (UI) staff of the airline. Certain players don’t go along with this approach when working with airlines or any other partner. Rather they offer a combination of both XML or server side request and UI widget. This means full UI all the way down through the technology stack is provided. The reason: when the UI and code associated with it enables one to continuously optimize the business and improve upon the attach rate along with the revenue metrics for that business which can be airline or any B2B partner that is taking the booking from travellers. In case, airlines use their own UI and only use B2B partner’s API, the partner may not able to influence the optimization of that UI. An example of the same would be CarTrawler offering UI level API rather than extending XML or JSON level API. So, for example, in case of Ryanair’s platform, all of the options related to car-hire, pre-booked taxis, coaches etc. that a user comes across is based on CarTrawler’s code running on the airline website. 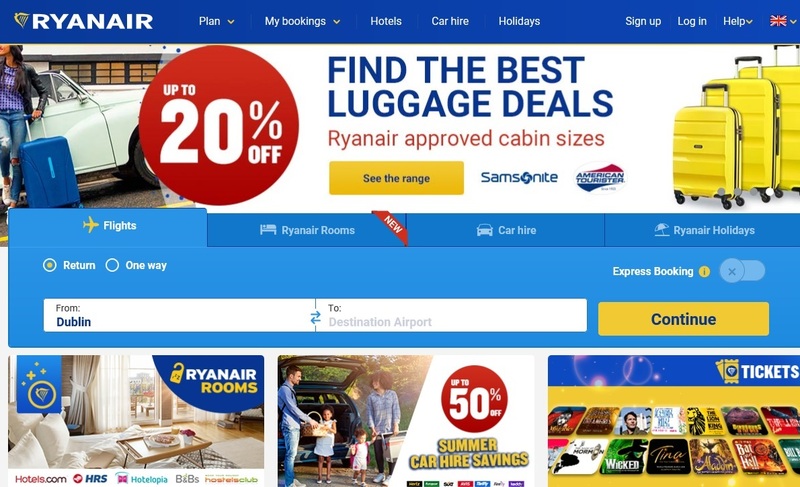 CarTrawler ensures a seamless experience for the visitor by working in conjunction with the Ryanair team to connect the B2B travel technology platform’s coding to the airline’s shopping cart. So if a customer adds a car hire into the shopping cart on Ryanair.com, it would be CarTrawler’s code implementing the user interface and the same is working in the background on the airline-owned platform. Eventually CarTrawler uses the airline API to put the product into their basket. Other technology specialists, too, acknowledge the efficacy of UI level APIs. “It is user interface friendly as all business logic is handled server side by our API layer - API and backend layer. Users of the API can concentrate on UI and presentation. This allows less travel-centric developers or developers who don’t have a background in the travel industry to spend less time trying to figure out how travel technology works and more time on creating a better customer experience,” shared Slone. Overall, the company is focused on producing tools in a modular format via API or UI that will enhance the user experience for an airline. Slone added that XML is not very UI friendly as it is hard to parse, it is more resource intensive so should be avoided client side. “Usually you need to have some kind of translation layer to translate the XML into JSON for better integration (on the) client side,” he said. There are other areas, too, that demand attention. For instance, deriving business intelligence from search and booking streams and transactions or while working with several intermediaries, ascertaining what sort of requests are coming from a particular intermediary. All of this has to be looked into during the designing stages of an API and this will only propel the distribution initiatives of an airline. How can airlines and travel companies make the most of their respective APIs? Hear from experts at the upcoming Mega Event Asia-Pacific (Ancillary, Loyalty and Co-Brand Conferences) to be held in Bangkok, Thailand (28-30 August, 2018). Ai Editorial: How Kiwi.com intends to simplify an interlined itinerary? Ai Editorial: Kiwi.com is on the verge of introducing a new webpage form where consumers just fill in where they wish to go rather than filling information in different tabs. Ai's Ritesh Gupta spoke to Kiwi.com's CEO Oliver Dlouhy about how the team planned and executed this new search page. E-commerce organizations, including ones from the travel sector, today are focused on being "agile entities". One of their core strengths is their organizational culture and how teams work in unison. The culture is all about encouraging the team members to experiment, let them fail and always strive to improve upon their digital interfaces, be it for their .com or app. These organizations avoid quick wins, adopt a fail-fast attitude and are part of a culture that supports curiosity, learning and problem solving. Booking an air ticket for multiple destinations can be a laborious task. Virtual interlining specialist Kiwi.com has been assiduously looking at ways to simplify an interlined itinerary. The company asserts that every virtually interlined itinerary is covered and guaranteed to get the traveller to their final destination. So what's new as far as the core product i.e. flights is concerned? According to Oliver Dlouhy, CEO and Founder, Kiwi.com, his team has been working on plans to launch a new webpage form where consumers just fill in where they wish to go rather than filling information in different tabs. A traveller would share names all of the cities and dates on Kiwi.com's interface. The results would feature a sequence of flights. 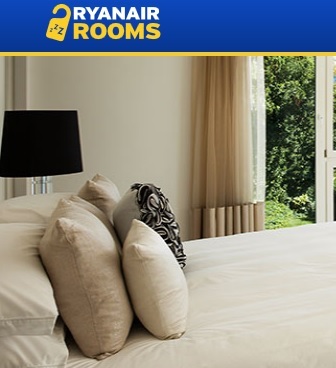 The order of bookings is recommended to optimize the budget. It started as an idea to have a search-page like no other in the industry, shared Jakub Skopec, Senior Manager - Airline Partnerships, Kiwi.com. Skopec said, "As an experiment, Oliver and our designers created a new concept of our search page from scratch in various iterations. Along the way, a couple more people were added to the loop devs, product and project manager. Oliver's ask was to move fast and still take it as an experiment, so qualitative user-testing went on even during development. Feedback from the users has shown that the concept as a whole is a too much of a change to digest, so, actually we decided to deliver selected parts of the concept in smaller parts – incrementally." Skopec said, "We started with a clean, new, look of search, and built on top of that. Adding Rooms, Cars and Holidays to the homepage, ability to put a flight into favourites in case you want to compare and return to it quickly or explore more destinations, share your flights via social media to motivate your friends to come with you, or searching by points of interest (e.g. Berlin Wall or Grand Canyon) so you don´t have to look for the nearest airport, we serve you up relevant and informative results, saving you the bother. All of the above features originated in the new concept, but are tested in an A/B test and will be delivered individually." Taking through the journey of development of this new search page, Dlouhy shared that once there is a feature project launched the UX designer makes sure to invite to the table everyone involved - the Product Manager, UX, Customer Service, Marketing, Analyst, and other stakeholders - depending on the project. "Gathering requirements and insights from all of these parties is important to enable the designer to frame the problem we’ll be solving and understand also what we don’t know - what blocks us from executing the project. UX Researchers help here with filling the information gaps through various set of research activities. Once we know what problem is to be solved the designer can start exploring ways to solve the problem - typically through a digital user interface but the solution can be found elsewhere too. Loops of concept tests and user test ensure that we design the right thing right," shared Skopec. Dlouhy says Kiwi.com's offering is "super-complex" and "will never be finished". To keep pace with the same, the staff count has risen considerably over the last two years and there are 350-400 members in the IT team. So what qualities does Kiwi.com look for in employees? "(We look for) honesty, transparency, openness, ability to quickly adapt to a constantly changing environment, passion for travel, efficiency, willingness to fail fast and improve," shared Dlouhy. He added that there are numerous things in the organization designed to make people work together, collaborate and interact. "Office space, tools we use, encouraging various workstyles and best practices/ guidelines, and key is clear and concise communication across the company," said Dlouhy. A couple of examples on product delivery level are Product Managers and UX sitting with or close-to Dev teams, office space where project teams can sit together, open and public project channels on Slack, shared docs and definitions, the organization structure itself and many more. No proxies, no silos, more of a matrix structure where everybody can talk to everybody freely and openly. Continuous refinement of product means teams are eyeing agile, quick development cycles. For Dlouhy, agility is a mindset. He says Kiwi.com (or Skypicker previously) was born agile – without people collaborating, focusing on delivering working software, relentless focus on customers and ability to adapt quickly a start-up could not survive, not to mention grow like it did. "So now the recipe is simple – try to avoid anything that would disrupt progress and growth and identify tools and agile practices that will help us to achieve and make sense to people using them," he says. It is being pointed out that if organizations end up settling for commodity-level task for incremental enhancements then it won’t serve the purpose. Don’t incentivize the team to progress only for quick gains. So is Dlouhy for mindset of “incrementalism” or against it? "I think “purpose” is the keyword here. Let´s say you want to optimize a product – shipping improvements often shortens your feedback loop, enables you to learn, adapt, get better and try again. Innovative features usually require more work and polishing – you can still produce them incrementally, you even might want to get feedback along the way (prototype, beta, etc. ), but you might release them once the increments work as a whole, fulfill the need and deliver the experience the customer shall receive. Incrementalism is harmful when confused with “doing only one-offs” or shipping half-baked products," he says. Ai Editorial: Airlines need to find ways to support fragmented distribution, rather than continuously drifting and ending up with a precarious situation where one player in Google ends up controlling the whole travel value chain, says Bobby Healy, CarTrawler’s CTO. Airlines need to assess how emerging forces such as conversational commerce enable them to break the threat of monopoly. An opportunity in this context is API connectivity. “When you consider Facebook Messenger or Tencent’s WeChat, these are strong ecosystems in which Google doesn’t have a monopoly (in conversational commerce). Airlines should work with players that will sell their product via a conversational interface. It is a far more fragmented ecosystem and not controlled by one player. Airlines need to stick to fragmented distribution, as is the case now, but they need to be guarded against the future,” said Healy, who added that the concept of Alibaba’s Fliggy storefront or Tencent’s WeChat mini-programs are much better and are quite different from transactional platforms of today. Other than conversational commerce, Healy also referred to blockchain technology. “These could be small opportunities as of now, but over a period of time any new distribution platform that airlines find is not controlled by one player they should pursue it. And enabling technology for them to pursue would be APIs,” he said. The logic behind working out a marketplace like one that by Ryanair would be to retain the customers on their platform even if they sell them some other flights. In a way a platform that connects end users to other systems that provide them important services. The value of the brand will largely come from technology that enables seamless, frictionless, user-centric transaction. Considering the way digital economy works, it is being asserted that airlines that will focus only on core business will not be able to survive outside of niche markets. Core business has become commodity and yields no profit. The role of airlines from being a supplier to a platform operator needs to be contemplated. NDC – playing into the hands of Google and meta-searchers? Referring to IATA’s XML distribution standard, Healy mentioned that NDC certainly helps, but doesn’t make integration any easier. It does improve the capabilities of an airline to distribute their products better. “For me, the biggest winner from NDC would be companies like Google or Skyscanner. Because eventually it is going to help these players come up with a better proposition for the consumer. It (NDC) doesn’t help them technically (so many versions of NDC XML APIs) but for Google, Skyscanner and KAYAK it is not difficult to implement airlines’ APIs that is bread and butter for them. So NDC doesn’t reduce their effort (as of now) in a way that they really care about. But, overall, NDC plays into hands of the meta-search. Because in the end, rather than showing just price comparison, they end up showing product attributes as well. Only price comparison is a barrier to a meta-search being valuable to travellers,” said Healy. Healy mentioned that airlines still need to look-out for new trends, such as API connectivity paving way for sharing of relevant information or bookings within the interface consumers are operating in. “Conversational commerce is going to drive a lot of changes. The younger demographic is going to use it and that is going to be powered by intermediaries – Google, Amazon, Skyscanner etc. And they will initially build themselves because they have APIs to their content. Over time airlines would need to refine their APIs to support conversational commerce. An API like NDC is nearly everything that you need in conversational interface – may be additional functionalities could be cancellation that are needed at an API level,” said Healy. Chatbots are still in the initial stages, and haven’t solved painpoints in a big way. On voice activation software in the travel industry, Healy mentioned that it is currently capable of answering simple questions like the status of a particular flight. “In a decade or so, we will see the rise of micro-transactions carried out in a conversational style completed through a voice operated interface.” So airlines need to prepare for such developments. Expect a lot of changes in the next decade. It is being projected that mobile apps would be slowly replaced with chatbots that enable constant human-like conversation with passengers. Every customer journey will be different. The more data you will have and the more systems you will have in your digital ecosystem, the better proposition you will have for your customers. The value of the brand will largely come from technology that enables seamless, frictionless, user-centric transaction. Airlines need to gear up for the same. Hear from experts and assess the journey of airlines at the upcoming Mega Event Asia-Pacific (Ancillary, Loyalty and Co-Brand Conferences) to be held in Bangkok, Thailand (28-30 August, 2018).